Last year I purchased an artificial Christmas tree, something I swore I would never do. Two things led to this purchase: 1. A couple years ago, our tree fell while Matt was out of town and left me with a big mess and 2. The more blogs I write about fire safety, the more I worry about a home fire. Did you know that according to a 2015 National Fire Protection Association (NFPA) report, U. S. Fire Departments responded to more than 200 home fires annually between 2009 and 2013 where Christmas trees were the first item to catch on fire? 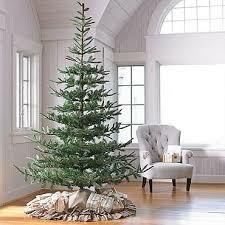 Thirty percent of Christmas tree fires were due to electrical failures or malfunctions. Check your lights before stringing them on the tree. Make sure they have the label of an independent testing lab, they are for indoor use, replace worn or broken cords or loose bulbs, and follow the manufacturer’s recommendations for the number of strands to connect. This may be an obvious one, but don’t use candles to decorate or light your tree. Apparently this is how they did it before 1917. Always turn off the tree lights before leaving or going to sleep. Choose your tree’s location carefully. According to the report I read, nearly 25% of fires occurred because the tree was too close to a heat source. Don’t leave your tree up too long. According to NFPA, trees, even if they are well-watered, should be taken down within four weeks of being put up in your home. The holiday season is such a joyous time – spending time celebrating with family and friends. While we know that stuff can be replaced, Christmas tree-related fires have a higher rate of fatalities than other house fires. Stay safe this holiday season, and feel free to call us at 336-992-0700 if you have a fire safety-related question.